Green Moustache features lush greenery, rooftop views and a private dining room. 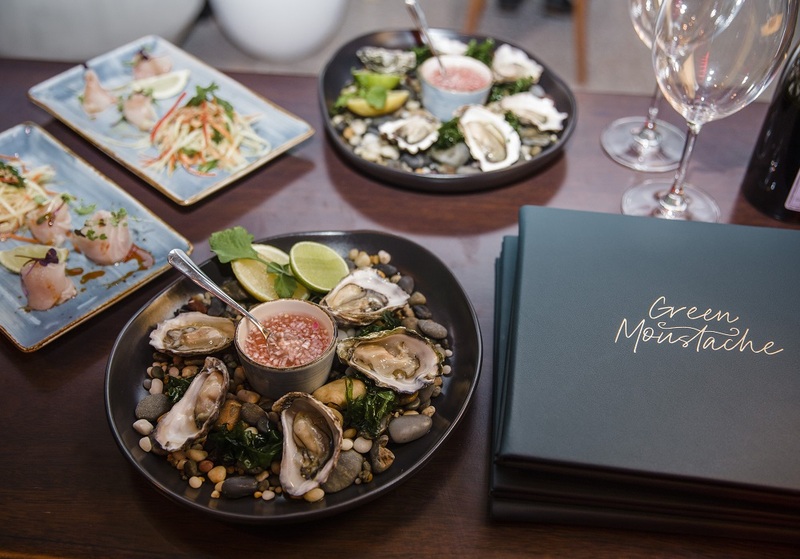 North Sydney has welcomed a newcomer to its bar and dining scene, with the opening of Green Moustache this week. 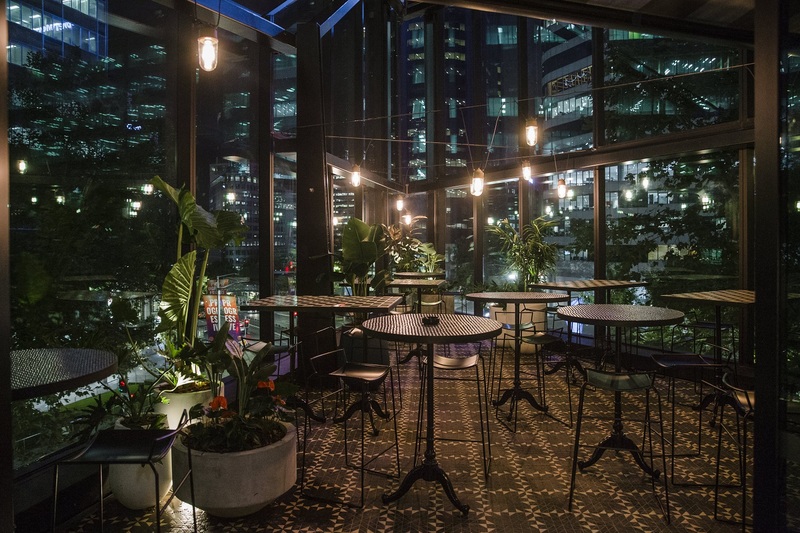 Located in the heart of the business hub, the rooftop bar and restaurant is led by Andrew Utiger and Matt Erby, who are also behind popular North Sydney venue The Treehouse Hotel. Designed by architect John Cochrane and interior designer Ruth Harris, the venue can cater for up to 300 guests and features an abundance of greenery and natural light, rooftop views and a private dining space. 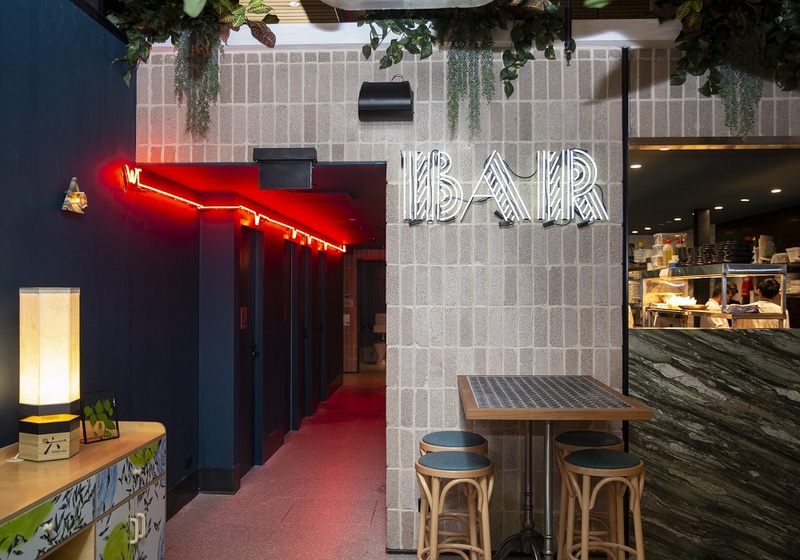 Utiger and Erby said Green Moustache offers a “lush, oasis retreat” from the busy CBD below. “Every little detail in the venue comes together to create a relaxing, welcoming and fun vibe, from the overflowing greenery to the fresh seasonal menu to the bespoke furniture ladened with marble, greens, golds and custom mosaic tiles,” they said. The culinary offering at Green Moustache is overseen by co-owner David Maisey, chef Peter Fitzsimmons (previously Chin Chin) and pastry chef Alfredo Jr Peralta (previously Nomad). The menu features classic international and Australian favourites, accompanied by a selection of wines, beers and top-shelf liquors curated by head bartender Aby Dedej and sommelier Julien Perrimond. 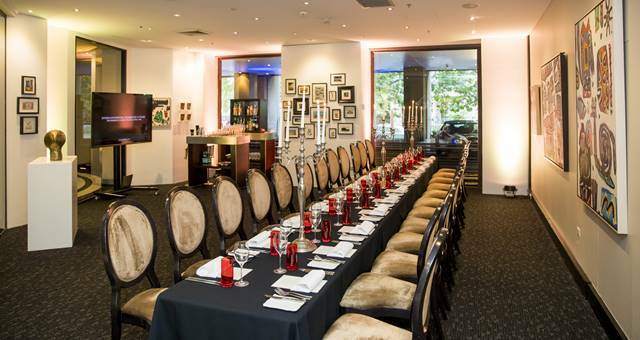 The venue also features a private dining room with capacity for up to 20 seated guests and up to 40 standing. The space features a leafy outlook and a central fireplace for the cooler months, making it an ideal venue for corporate luncheons and dinners, media events and product launches. The main dining room features a floor-to-ceiling glass wall and a high ceiling, with capacity for up to 40 seated guests.